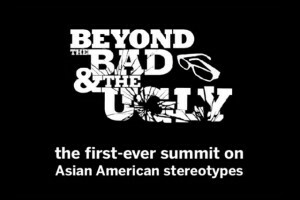 “Beyond the Bad and the Ugly: Stereotypes and Asian American Pop Culture — A Summit” will be held on Saturday, March 23, from 9 a.m. to 6:30 p.m. at the Japanese American National Museum, 100 N. Central Ave. in Little Tokyo. In 1914, Sessue Hayakawa became the first Asian American actor to break through on the silver screen, appearing in movie pioneer Thomas Ince’s silent classic “The Typhoon” and launching a career as one of the most popular and well-paid stars in the nascent Hollywood industry, albeit in roles that consistently depicted him as villainous, violent and manipulative. Organized by Jeff Yang, Wall Street Journal Online columnist and editor-in-chief of the new graphic novel anthology “Shattered,” which uses the medium of the comics to explore and explode unyielding stereotypes of Asians in pop culture, “Beyond the Bad and the Ugly” gathers together some of the brightest and most interesting Asian American creators, and critics, activists and academics in a unique one-day summit that begins by looking back at the heritage of Asian images in American media and society, and ends by looking ahead — discussing new ways to prevent distortions and present more vivid, humanized, three-dimensional portraits of Asians and Asian Americans to a wider and more accepting audience. Admission is $15 for students, $25 general, $35 premium (includes reserved seating and a complimentary copy of “Shattered”), plus a service fee. To order, click here. JANM members receive a $5 discount; email [email protected] for discount code. • Andrew Ti, blogger, Yo Is this Racist?